"This Tree Is Made for Climbing" is my second album and is now available at the links above. For it, I collaborated with violinist and producer, Shawn Williams, who wrote and recorded strings over my piano tracks. This is an album of fresh hope. an aural picture of spring and the life that it brings. The audio image of a tree, waiting to be climbed, an opportunity waiting to be had. Contrary to the narrative journey and progression that my first album, Gradient, provided the listener, this album provides snapshots in sound and “moments” that take the listener to a place of joy, hope and life. 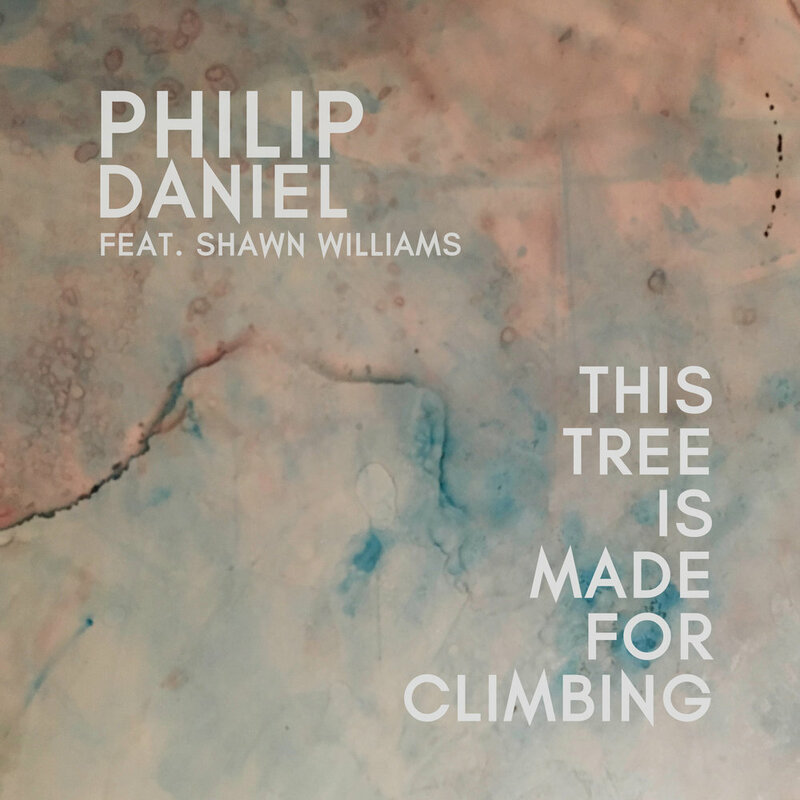 This Tree is Made for Climbing is a collection of 6 compositions that were originally written as solo piano works by Philip Daniel. They were then completed by the addition of strings done by Nashville-based violinist and producer, Shawn Williams. After a performance of "This Tree Is Made for Climbing" (before it had a name) I had a friend come up to me and suggested I name it that. The title instantly stuck with me. The picture of a young child looking up at a tree symbolized a lot to me and thus created the overall theme for the album. As a young kid (and still now) I can't resist the need for exploring, spontaneity, and adventure (to a fault). "This Tree Is Made for Climbing" is a picture/moment that exemplifies this and I hope I captured this feeling of explorational hope in this album. These compositions are very cinematic in nature and convey a wide range of emotions. The over arching theme to the album is one of hope, joy, and love. Written over the course of the spring, it is my extroverted response to his first album of melancholy piano compositions released in December 2017 called “Gradient”. Two tunes on the album, “Juniper” and “This Tree is Made for Climbing” hearken to the joy new life brings. Juniper was specifically written for my beautiful niece, Juniper Mae. My nieces and nephew bring me such joy and life and both these compositions are dedicated to them and portray the joy they bring. “For Her” was written the week I recorded the album in the studio and is a long improvisation based off one melody, written for a girl. “Stars so Bright” was written on a road trip and parallels the adventure and exploration that new experiences bring. Traveling has became a habitual hobby for me and something that's enabled me to meet new people and experience priceless moments, inherently inspiring my composing. It also hearkens to an extra-terrestrial vibe and is how one would envision “stars shimmering” would sound like. Musically, the piano consists of rolled chords in groups of five. The melody is the pinky note and is doubled throughout by the strings beautifully. The other two tunes, “Cascades” and “Unearthed” are the only two in minor keys and contrast the other tunes by their epic, darker demeanor yet both conclude providing the same hope that the project overall exudes. When I sit down to compose, I normally never do so with any extra-musical inspirations or motivations, I simply want to write something "good" (as cliche and simple as that sounds). A lot of this album was an exception to that. Consciously and subconsciously I was inspired by this exact time in my life and the people in it. This was gratifying and created something meaningful, not only to me but others. I also tend to compose alone and try to really control the final product. This album however was a process of collaboration and letting go of my "control". In turn, the final product turned out better and more powerful than anything I could have created on my own. Shawn Williams ideas, performance, production and vision exceeded my expectations and took these compositions to a place I couldn't have taken them myself. It will be rare to produce something truly solo going forward and I am so thankful for his work on the project. Musically, the marriage between strings and piano could not have worked and elevated each other better. The pieces are not piano accompanied by strings but are one entity, with both parts working together to elevate the music to a place neither could take it itself. At times, the piano is the primary voice, other times the strings, and at many times they are one instrument together, providing the listener layers of beautifully orchestrated sound that provides a fullness yet simultaneous beautiful transparency. I hope to never take for granted that you take the time to listen to what I create, there is no greater fulfillment and feeling to me than when my music moves and impacts the listener. Thank you, I am truly grateful.